When you think Mexican beer, you probably think Corona, Modelo, Pacifico, and mass-market lagers of that nature. What you almost certainly do not think of are IPAs, Imperial Reds, and Belgian-style Wits and Saisons. 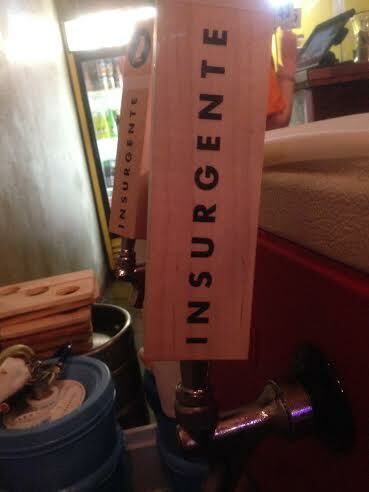 Well, breweries such as Insurgente are looking to change that, one tap takeover at a time. Hailing from the infamous city of Tijuana, Mexico, Insurgente has been brewing American and European-influenced craft beer since 2010. They broke into the American market in January 2015 with a San Diego run and are looking to expand to Los Angeles by April, with further expansion planned. 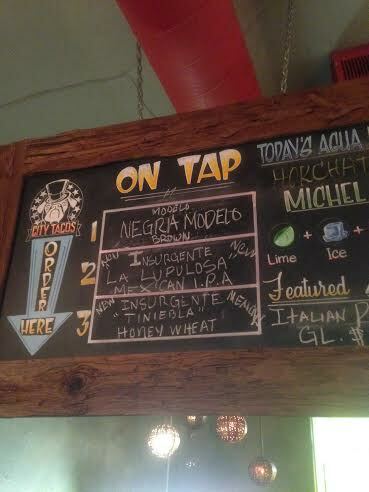 Tiniebla: Insurgente’s take on a Belgian-style Wit (white, wheat ale), complete with coriander, orange peel, and that classic, delicate spice flavor of an authentic wit. Saison: A fantastic rendition of a Belgian-style Saison, which is a traditional farmhouse-style ale rife with flavors of various fruits and spices which come from yeast strains indigenous to the Belgian countryside. This one was nice and dry and spicy, just the way I like them. …So I guess I was in a Belgian kind of mood. 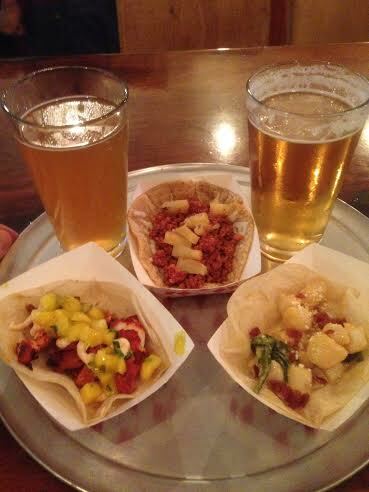 I was thinking that the spice of each beer could be a good link with the spices of the tacos. I tried the tacos in the order listed, aiming to go from most delicate flavor to boldest flavor. I’m going to put it right out there from the outset and say that, while it is a stellar beer, the Saison did NOT work with any of these tacos. It muddled and bittered the flavors with the scallops, took on an acidic, metallic flavor akin to blood or pennies with the mahi, and overpowered the chorizo with its spice. So, now that we got that out of the way, lets move on to the star, Tiniebla. This Belgian-style Wit made for a fantastic overall pairing with these tacos. The rich, buttery, and spice-laden flavor of the scallops brought out the spice of the beer a bit more and linked up nicely with the beer’s soft, malty flavor. The mahi provided an even better mate with the Tiniebla, transforming this Belgian Wit into a creamy, malty, spice-spiked delight that made me think for a minute that I was drinking my dessert (drinking my dessert?) a bit prematurely. Humor me for a minute and picture the Tiniebla standing in the middle of a mahi bridge, with the habanero jelly on one side and adobo spices on the other. Then picture them walking towards each other. When the three meet, it starts raining avocado cream sauce and a giant authentic Mexican flour tortilla comes and whisks them all away! And that, my friends, is when beer met food. Or something to that effect. The Chorizo, by the way, did not make for a good pairing with either of these beers. The taco was great, but it just needed a different beer; I’m thinking a West Coast Pale Ale, which, with its dry, bitter nature, should create a nice contrast to the rich, spicy chorizo. So, thanks to Insurgente, City Tacos, and yours truly, you will now be completely weirded out every time you think of fish tacos. You’re welcome.